When we rung in the year 2017, we had no idea we would be writing you this specific update. We plan, but God directs, and sometimes, changes ours steps. It is with a lot of emotions in our hearts to tell you our season of ministry in South Africa is coming to a close. 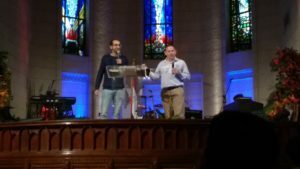 Recently, one of our sending churches, the Worship Center in Lancaster, Pennsylvania offered Chris the job of Missions and Local Ministries Pastor. Initially, when the offer came we said we would pray, but the answer would likely be no. We were content and loved our life and ministry in South Africa. We had no plans of changing direction. But, when we prayed, it quickly became very evident to us that God was opening a new door for us. Unexpected… completely! 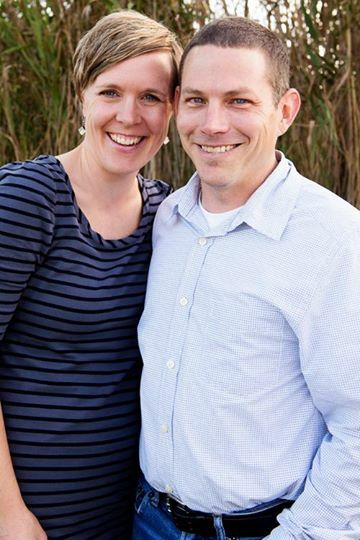 Within weeks of the initial conversation, with immense peace and confidence in our hearts, Chris formally accepted the job of Missions Pastor. This likely comes as a surprise to many… just as it did to us. This is not an end to our journey in missions and ministry. But the expression is taking a different shape. This is a 12 year season in South Africa coming to an end, as well as the end of our current season in Youth With A Mission. Chris has served 25 years in YWAM and Lindsey, 21 years. In June we will be re-locating our family to Lancaster, PA. Chris will begin the job in July. As we look at these past many years, our main emotion is gratitude. Immense and overwhelming gratitude! We are grateful for the opportunity to serve with so many great people. Grateful for the opportunity to serve in this great nation. Grateful for every single faithful supporter through the years. You will have no idea how you have blessed us and blessed the nations of the world. Only in eternity, will you see the fruit of such faithful generosity to stand with us and many others. Words do not capture the gratitude of our hearts. With that said, there is only one fitting way to close this update. 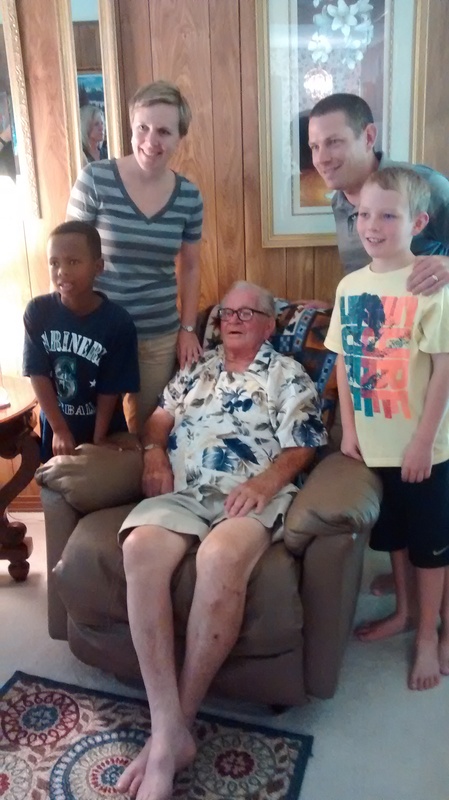 What does a Missions pastor do? Chris’s role will be overseeing the 40 missionaries already on the field from the church. This includes providing pastoral care, visiting the works in person, as well as supporting and encouraging them. The church has a vision to continue this strong missions emphasis, so raising up new, younger missionaries will be a focus as well as linking the congregation with missions. The local expression of ministry will be targeting those in need in Lancaster county. Poverty, injustice, and loneliness are not unique to the foreign field, but are present all over the globe. 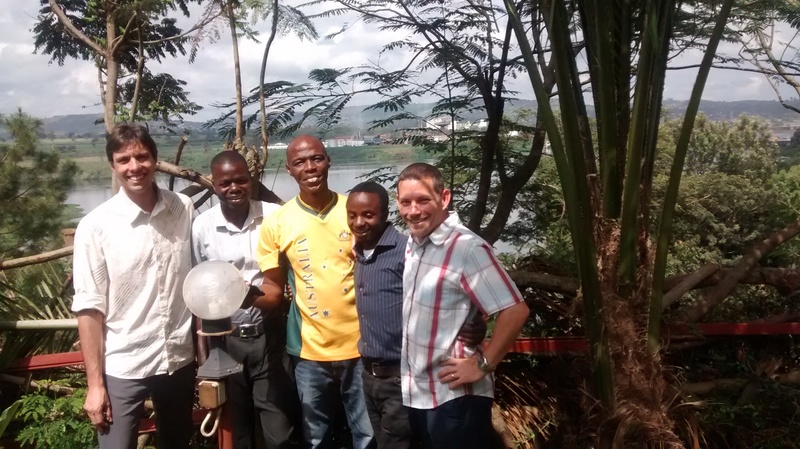 The role places Chris on the leadership team of the church to help steer the thriving church of 4,000 people. What will Lindsey be doing? This is one of the largest areas of change for us, having ministered together our whole married life. Initially, Lindsey’s goal is to help set up a home, walk the boys through the transition, support Chris in his new job and figure out how to navigate this Amish laden town! As the dust settles on our whirlwind transition, Lindsey will be able to explore her expression of ministry and life in Lancaster County. She is very focused on getting the family transitioned and settled. We will be moving from supporter based lifestyle to Chris receiving a salary with the church. We are asking if you would continue to support us through June so that we can make this transition. We still are doing ministry here and abroad as we transition roles and responsibilities. If you have any questions about this, please don’t hesitate to ask. The final day for donations will be June 30th. We would be very thankful for your continued support through the end of June in order for us to transition as well as possible. This is the church Chris grew up in and his parents still live in the area. This will be the first time they have family, and most importantly, grandkids in the same city. They are obviously quite excited! Our excitement is expressed in two words: Free Babysitting! Many people ask us, “What do the boys think of this?” We shared with them before Chris officially accepted the job. It was important for us to hear from them what they thought of the idea. Initially they were both shocked… it was so unexpected. But, quickly the shock changed to excitement and both of them said they wanted to do it. Neither of them has ever lived in America, the photos above give a you a visual reality of how much of their lives have been in this country… all of it! 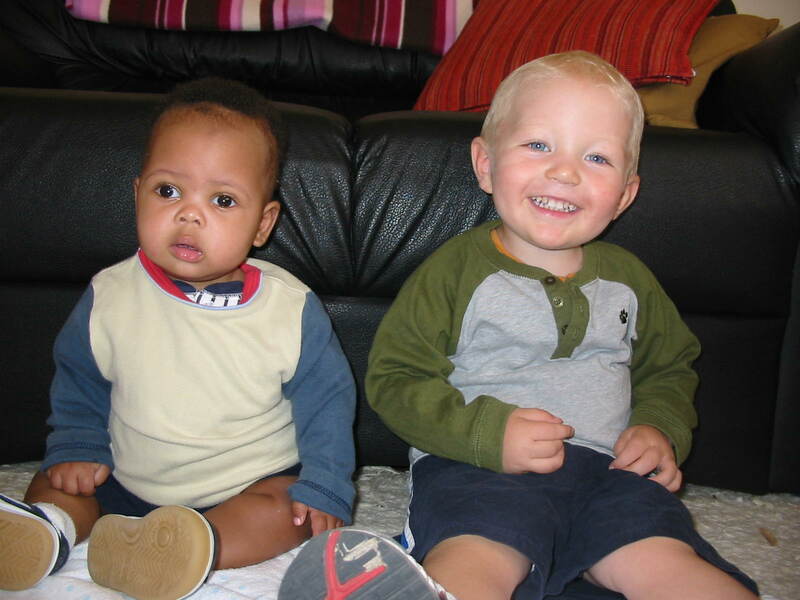 In most ways, they are South African children moving to a foreign country. They look forward to exploring their American side and learning what this country is all about. They are also excited about the hamburgers. Please pray with us for the many details of wrapping up life in South Africa and re-planting in Pennsylvania. The biggest one will be finding a house quickly so the boys can be registered for school in August. God is really emphasizing the power of knowing His Word to change lives throughout Youth With A Mission. Chris has seen a big increase in his involvement internationally within the Bible School network of Youth With a Mission globally. In the last few months, he has been invited to be a guest speaker at the gathering of staff in both North America and Europe. He continues to coordinate the network of 12 Bible Schools throughout Africa often visiting them for teaching and encouragement. In the beginning of this year alone he is visiting Egypt, Uganda and Madagascar. 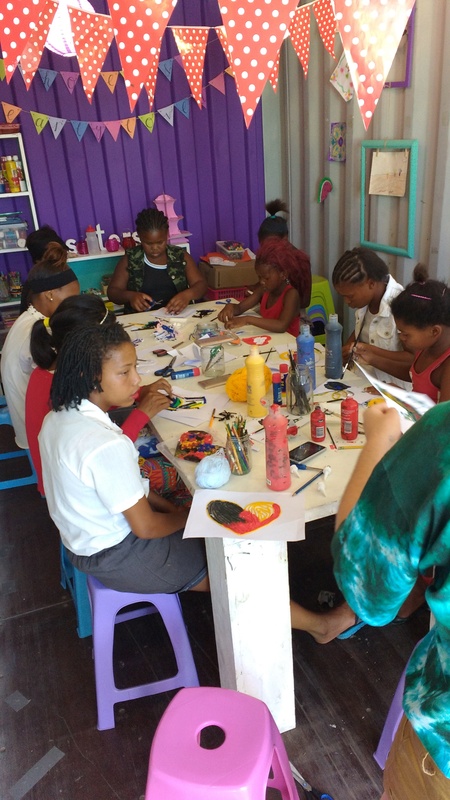 Lindsey continues to reach out to women in the city of Cape Town. Last year’s retreats were the best ever for interaction, teaching, and refreshing. In 2017 we are continuing with the weekend retreats as well as more 1-Day seminars this year for more teaching and input on relationship issues. As the ministry continues there is a growing network of churches, ministries and business’s that send women for these weekends. One local factory has asked to send 2-3 of their workers each retreat as part of their plan to raise up Christ followers in the business world. Each of these women are connected to a local church where they serve and relate locally. Thank you to all those who sponsor individual women, we are so grateful! We oversee the non-profit organization, Project Grace. 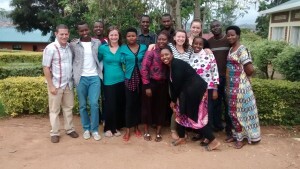 Through this entity, we are able to connect donors with local missionaries and ministries in Africa. Through the years the scope of this keeps growing. Often times local missionaries do not have access to donors to support their ministries. It has brought great joy to our hearts to serve as a bridge connecting incredible workers with generous donors. Sometimes these donors are known but many times they give anonymously. We continue to pray that God would make generosity a key element of our ministry. Through the years we have mentioned how much our YWAM campus has grown. When we arrived there were 30 staff and a few training programs. We are now pushing 200 staff and actively run multiple Bible and discipleship programs. It keep growing each year! We personally serve on the base leadership team, specifically overseeing all staff and ministries with a passion for the Bible. Chris recently visited the Bible school in Egypt and also spoke at the biggest church in Cairo (picture on left). We work with many young ministry leaders through coaching and mentoring. One ministry we LOVE is called Sisterhood, a mentoring ministry to Grade School and Junior High girls in a local community. One of our young staff had a vision and has sacrificed a lot to serve these young girls. They meet in a converted shipping container in small groups every week, learning what it means to be a valued daughter of God. Here is a picture of Lindsey sharing with teenagers on “Love” in honor of Valentines Day. Fun times! Marriage & Relationship Counseling: We have reached the stage in our marriage where we are an “older” married couple. Many young dating and engaged couples are seeking us out for input and guidance. It has been fun to guide these couples through the journey of dating and even heading to the altar. 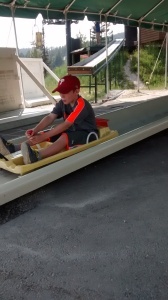 It is hard to believe how fast our boys are growing up. Garett has started Grade six and turned 12 years old. We nearly have a teenager in the house. This may be the year he catches Chris in height. 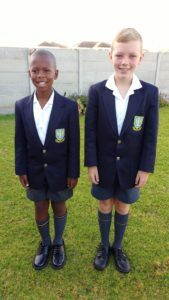 Thabo is in Grade 5 and is 10 and a half. The highlight of last year was playing Mowgli in the school production of Jungle Book. He did so well! He was chosen to perform on a national kids TV show which was a fun experience. 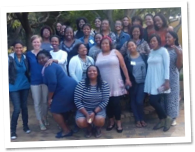 I (Lindsey) have been busy this year with The Exchange, a ministry to women in Cape Town. This year we have had a One-Day gathering and a full weekend retreat. A big thank you to so many that donated towards these events. Women around the world carry a heavy load but in South Africa it seems to be almost overwhelming. The magnitude of what they carry in their families, churches, communities and work place is huge. For example, most women care for their own children as well as many other children in their extended family… and all on their own. They also deal with a very high level of isolation and just personal safety issues that is unique to this country. Their family situations can be incredibly complex and stressful. I’m looking forward to continue to develop these gatherings as well as other avenues to bless the women of this city. 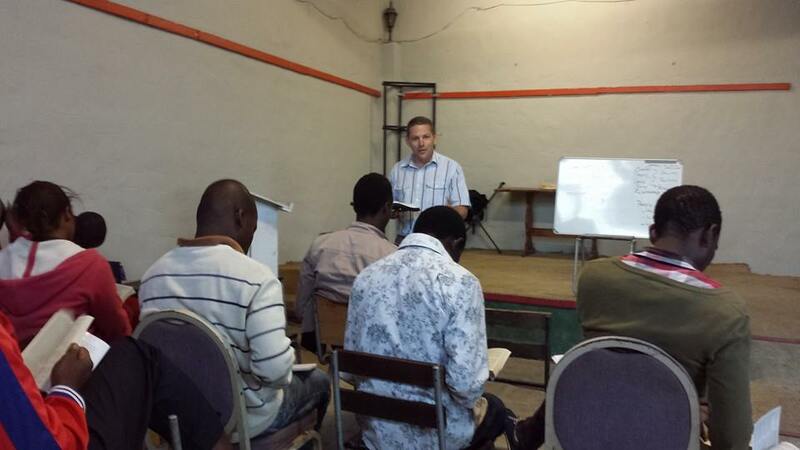 Chris has been very busy with the School of Biblical Studies here in Muizenberg as well as across the continent. 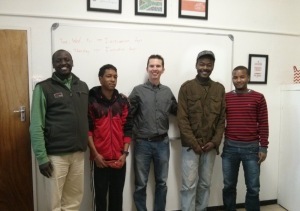 We had the honor of hosting a leader from Togo, West Africa on our campus. Moise spent a month with our team as we continued to build our partnership. Currently there are 9 School of Biblical Studies in Africa. Three more are expected to start in the next few months. In a continent with fifty plus nations, we have a lot of work to do! We long for the day when Africa is a missions sending continent, taking God’s word to the world. We say it a lot but we continue to teach both locally and beyond. A large part of what we do is teaching and preaching. If you are discouraged about the future, a view from our eyes might help. We are engaging with hundreds of young people in their 20’s and 30’s who are passionately committed to Jesus and following after Him. The future is bright! 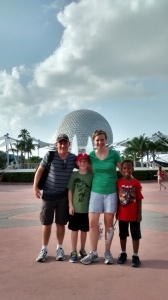 Want to know what it is like to be in missions? Paperwork… all the time. There has not been one moment in the last 10 years in South Africa where we were not applying for or waiting on documentation we needed due to being foreigners. It is just a part of our daily and weekly lives. 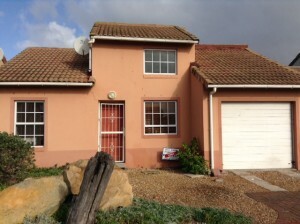 We are proud that last year we became “Permanent Residents” of South Africa (like having a Green Card). Recently we got our South African Identification books… well, Lindsey is applying for an amendment due to being marked as “Born in the United Kingdom”:) Next up, South African drivers license… it never ends! 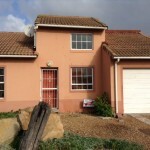 Two years back we felt God ask us to give more time in our schedules to our local church here in Cape Town. We attend a wonderful church that is a big blessing to our family. We have been serving on the preaching team for Sunday services and helping teach in leadership classes. Lindsey was recently asked to join the church leadership team that serves the Senior Pastor in moving the church forward in it’s vision. These are all just voluntary roles. We have enjoyed the relationship immensely. On a personal side, we are all doing very well as a family. In 5th Grade, Garett continues to excel on his school’s rugby team. He also started learning his 3rd language, Xhosa. When he’s not doing sports or homework, he normally is reading or playing Minecraft on the weekends. 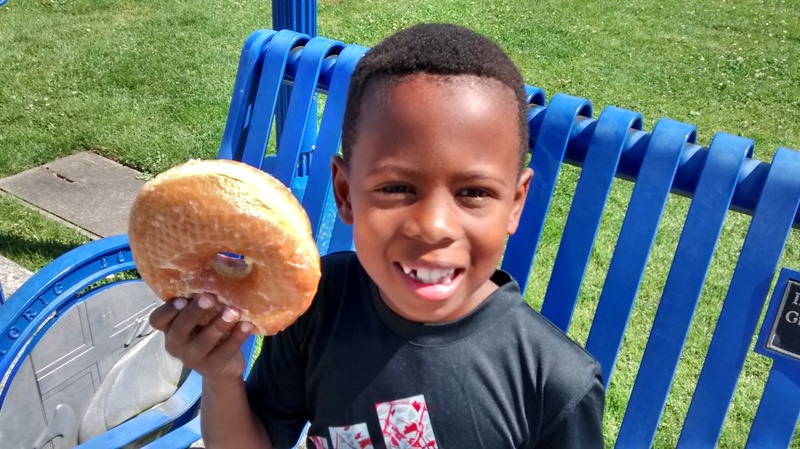 Thabo is in 4th Grade and enjoying history this year in school. He started drum lessons and tried out for the school play. We are so proud he got the lead role of Mowgli in The Jungle Book! He loves to act and sing. We are excited to travel as a family to the States this summer to connect with friends and family. 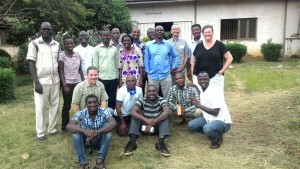 It has been a fruitful year with the School of Biblical Studies in Africa. Chris leads the Hub for these schools in the African continent. This role includes providing support, encouragement, and training to the schools on the continent. This year he was able to visit Rwanda, Uganda, Togo and two schools here in South Africa. Togo was a highlight as they had a Hub Gathering, bringing together leaders and staff from 6 different Bible Schools across Africa. It was a gift to strategize with so many faithful men and women who are longing to see an end to Bible poverty in Africa. It was exciting to see The Exchange women’s retreat finally take off this year! 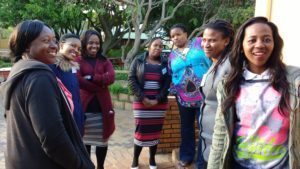 Women in South Africa carry a massive load in their churches, families, work and communities. This retreat was a time for them to come together and find fresh strength, hope, and courage in Jesus. We often try to avoid telling the stories that might perpetuate the negative images that people have of South Africa. No nation is a sum of the negative stories. We always seek to be looking for places where God is at work. But, all nations have times of struggle and this was a year of struggle for South Africa. The government is facing the reality of rampant corruption. The massive divide between rich and poor is causing emotions to run high and hope to run low. Unfulfilled promises have caused overwhelming frustration resulting in widespread protest and sometimes violence. A shortage of electricity and water is looms daily in the life of this nation. With these challenges comes opportunity. Christmas reminds us that it got darker, darker and darker… and then Jesus was born. Darkness and difficulty is always an opportunity for light to shine brightly. We value your prayers for South Africa. 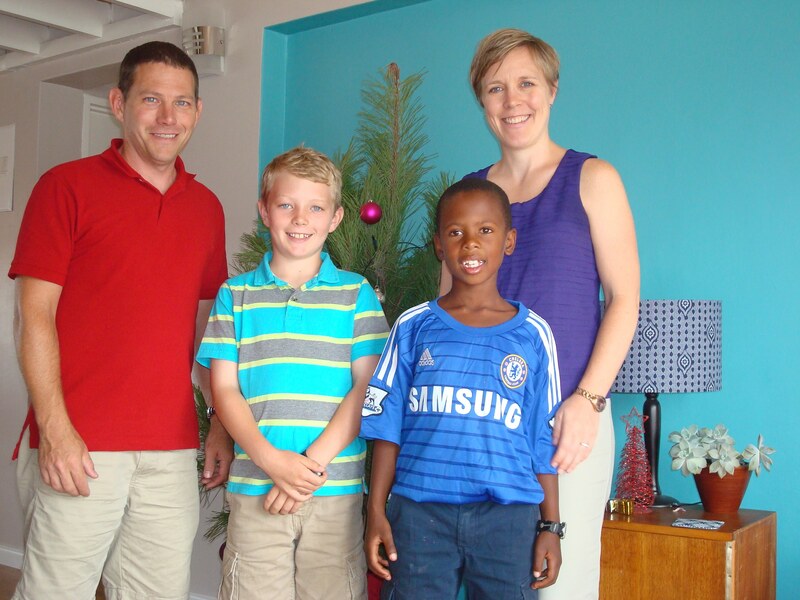 In October, we had the huge blessing of hosting an outreach team from the Worship Center church in Pennsylvania. What a massive blessing they were. The women on the team served at The Exchange retreat; cooking, cleaning and pampering the women! They also served youth, gave input to men, encouraged young fathers, and did a painting project to bless a widow. They were an amazing blessing in every way! 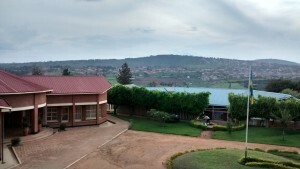 The School of Biblical Studies is in 9 countries in Africa. Chris or other co-workers from the Hub office, have been able to visit all of these locations for support and encouragement. There are plans to plant 3 more Bible Schools in 3 new African countries. Our local school has 31 new students currently studying the Bible verse by verse. Reading the entire Bible 5 times through in 9 months! One big thing we do which can’t be photographed or put in to a statistic is mentoring. Both of us spend a lot of our time meeting one on one with people. A lot of is simply listening, encouraging, and praying. No matter how big the vision; relationships is always the primary strategy of Jesus modeled for us to follow. Another year is in the books for Garett and Thabo. In December they finish Grades 3 and 4. They both are doing so well, really working hard, and showing a lot of determination. Both boys played Rugby and Soccer this year. They love sports and seem to have boundless energy. Both boys are learning Afrikaans. Garett especially is immersed in learning this local language. At 9 and almost 11 years old, we feel we are in such a sweet season of seeing who they are becoming. This year we also celebrated our 13 wedding anniversary. It’s fun to be teenagers again! Thank you so much for your prayers, support, and friendship! In 2015, both of us had a major new project we were working on. Here is an update! 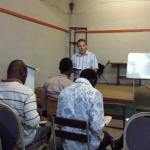 One of my (Chris) main roles is serving as the School of Biblical Studies Africa leader in Youth With a Mission. This role allows me to influence and encourage the Bible School programs located in Africa with YWAM. In August, I was able to travel to Togo for a gathering of our leaders. This is an event which began as a conversation in late 2013. 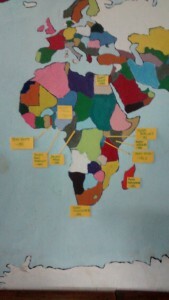 We had people from 12 nations present, including all but 2 of our current schools on the African Continent. This was the first ever gathering of its kind in Africa. It was a wonderful week to build relationship, hear the stories of both victory and difficulty, and learn from each other. We tackled difficult issues such as finances and disunity. 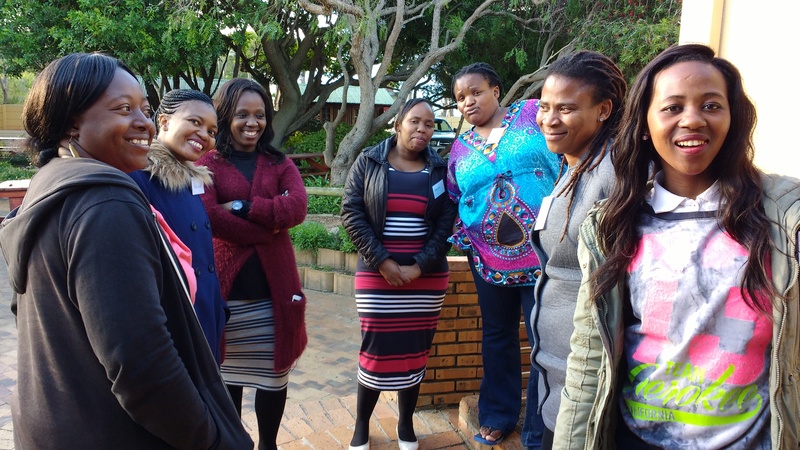 There was such a sweet spirit of togetherness as we provided equipping and training. Many of these leaders serve in areas with little or no support. To feel like they are “known” and they have been “heard” was a huge morale boost. This was a personal highlight for me to see this event start as an idea, grow into a fundraising effort, and culminate in something which exceeded my expectations. I am already looking forward to our next such gathering. I (Lindsey) have a huge heart for the women in this nation. Truly, they carry a massive load in their communities, places of work, churches and families. Time after time I am amazed at the challenges women face in leading their communities forward. In October I will finally see a dream become reality of a weekend retreat for women to gain fresh strength, courage and hope in Jesus. A time for them to step away from all they carry and receive from God. This retreat is called, “The Exchange”. Please be praying for this time and these women! Many of the women come from extremely challenging situations where the cost of this retreat would be too much. If you are interested in sponsoring, it costs $30 for one woman for the entire retreat. Please e-mail me and let me know! 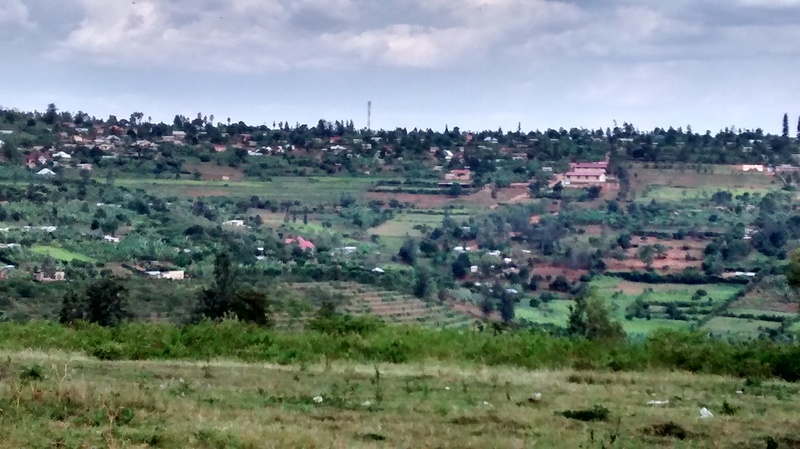 I recently returned from a trip to Rwanda. This was the fulfillment of 6-7 years of prayer and preparation to plant a Bible School at the Youth With A Mission base. I had a wonderful time teaching students from the region in both the Discipleship Training School and the School of Biblical Studies. I met students and staff who had witnessed their families being slaughtered during this dark period of history. In spite of this, it was impressive to see how far the nation of Rwanda has come in the last twenty years since a genocide killed more than a million people in just a few months. Rwanda, like South Africa, used the power of forgiveness to bring transformation. 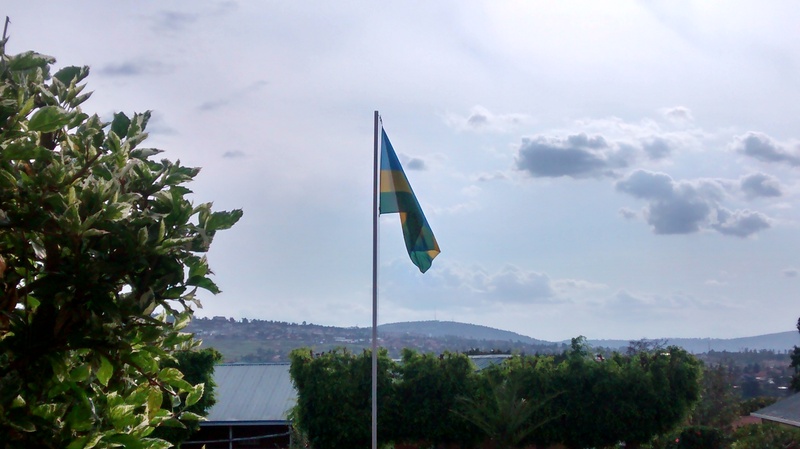 Rwanda in many ways has exceeded South Africa as they continue to implement forgiveness as a continual act. Today Rwanda is one of the fastest growing African nations economically, is virtually free of corruption, and is peaceful enough to walk the streets alone at night. It truly was a joy to see this nation “rise again” after such horrible events. I look forward to a return some day and continuing to see our Bible School grow and flourish. The end of every year is a time of reflection and looking ahead to upcoming events. This has never been more true than in 2014 for us. Here are some highlights and previews of what is to come. After years of prayer, attempted purchases, and even times of giving up; this dream became a reality. 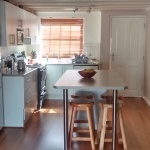 We purchased a small house in Cape Town and were able to do some renovations to it. We are so happy to have celebrated our first Christmas in our own home! 2014 saw us train more students and send them be missionaries than ever before. 2015 will be a year of fundraising and trusting God to provide new property to house and feed our students as well as run the campus operations. This will be uncharted territory for our campus! As of January, we have a 10-year-old! How did this happen to people as young as us? Garett will start Grade 4 and Thabo, 8 years old, will begin in Grade 3. 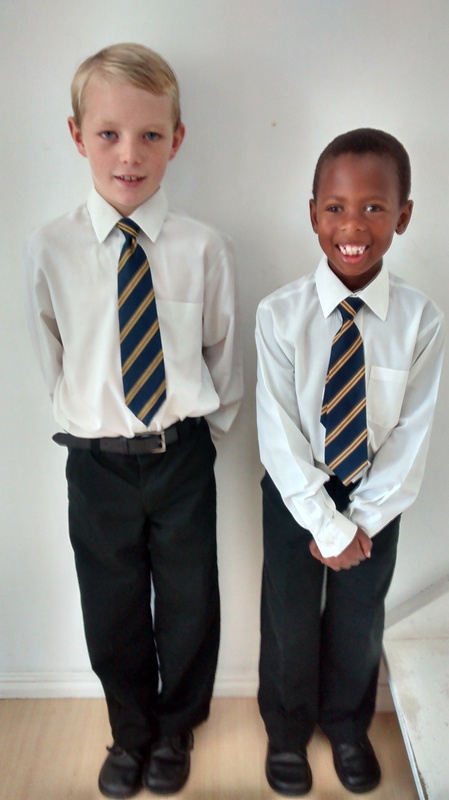 Both are doing very well in school and enjoying multiple extra-curricular activities. A Huge Thank you to all who have prayed, given, and walk with us through 2014. We could not do this without you! Merry Christmas, Happy New Year, and we wish you a fantastic 2015! Who knew Grace and Internet Technology went hand in hand? 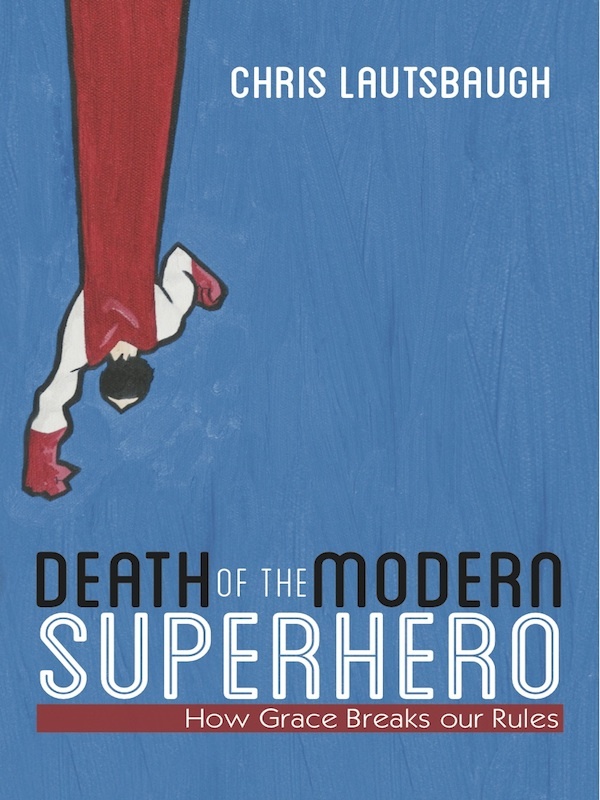 Today I had a great opportunity to disciple some young men using my book on grace, Death of the Modern SuperHero. Some friends started a ministry called Together Tech. They pair Biblical training and IT skills with the focused outcome being sustainable employment. It is a grassroots mentorship movement for young men under 30 in Cape Town, South Africa. Bridging the digital divide to tackle big issues like extreme poverty and believing in the model of Jesus to go far with a few people at a time. While not teaching the gentleman internet technology skills, I have an impact in their lives when they read my book to complete some of the spiritual discipleship they engage in. I was able to meet with them for a few hours today to build relationship as well as discuss the book. I was so impressed with all the questions they had from the content. Even more it was fantastic to see them being inquisitive about how to apply the truths to their lives. We plan to connect several more times over their internship. To read more about this great program, Together Tech – CLICK HERE. Or to see a video promo for the ministry CLICK HERE. We are so excited to be training the whole man, not merely their spiritual lives. It was so great to see an “out-of-the-box” way the book has been able to impact lives. On our last trip to the USA, I received a number of encouragements as to how the book is being used. These ranged from counseling centers dealing with perfectionism to many reports of individuals being challenged and encouraged. When you write something and put it out there, you often wonder about its impact. At times you question if anyone is actually reading it! So to hear these reports are very encouraging. 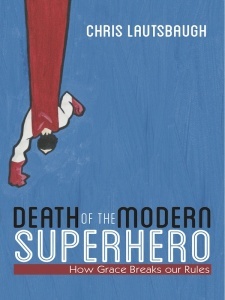 If you are interested in a copy of the book or want to read more about it head over to NoSuperHeroes.com. There is even a video overview! Thanks! Together with Project Grace you are helping to train the whole man in South Africa! 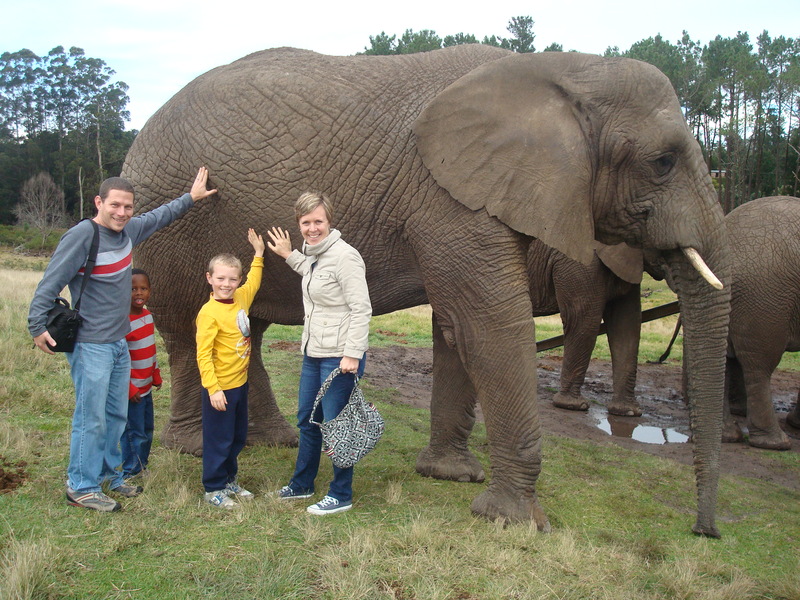 We have returned to South Africa from a wonderful summer spend in the United States. Seeing family! We had a wonderful time reconnecting with Grandparents, Cousins, and Aunts and Uncles. The kids loved all the swimming and soccer time. Missions Homecoming at the Worship Center. 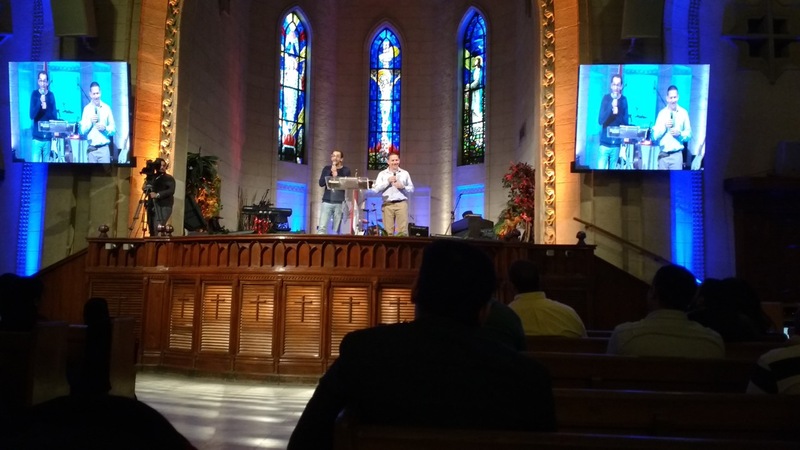 We were able to reconnect with one of our home churches as well as the other 45 missionaries from around the world. Special events and good food. There was far too many to count. Traveling to 10 states including a free trip to Disney World and visiting Lindsey’s grandfather for the first time since we’ve been married. We will be MOVING into our new house after a few minor renovations are complete. 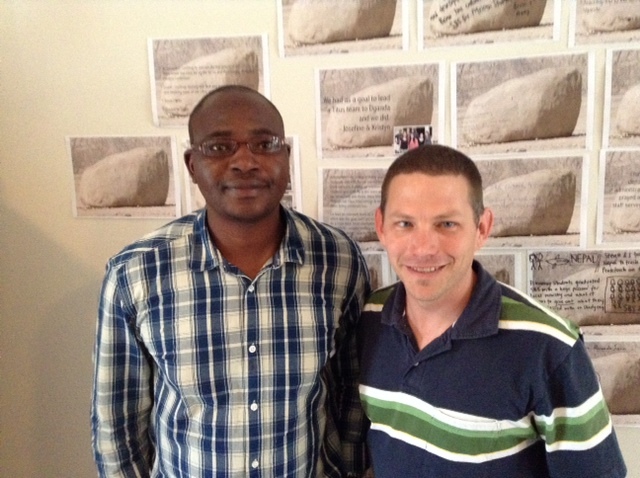 Chris looks forward to travel to other African School of Biblical Studies as part of his role in the Africa hub. To all we saw and gave generously to us, THANK YOU for making this the best summer! It is hard to believe we are in our 8th year in South Africa. Time sure does fly. 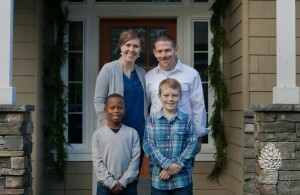 Shortly after we arrived, we embarked on jobs and projects we felt God lead us to. Chris took on the School of Biblical Studies and Lindsey stepped into the role of Training Director, seeking to bring cohesion to all the different programs. At the time the campus was small, with 30 full-time staff, training approximately 70 students per year. Through the years, we’ve seen explosive growth; outgrowing our classrooms and needing additional housing. From 30 staff we now have 150 full-time staff, from 70 students we now have 260 students coming through our doors to be trained each year. God has been good and gracious!! Recently, we were able to hand off many of our responsibilities to some faithful men and women we have had the privilege of seeing rise up. Every leader’s greatest hope is that what you build will outlive you. It is wonderful to see this transition take place! With all this growth, we had become swamped with more responsibilities than we could handle.This transition gives us the freedom to continue to develop leaders, teaching and preaching, as well as helping to lead the ministry of YWAM. We are excited to be even more focused on what we are good at. Exciting times! With growth, we find our campus desperately in need of additional facilities. We need more housing for students, additional classrooms and dining space, as well as a large corporate meeting area. Please Pray!! For those of you who have journeyed with us for a long time, you know it has been our desire to plant roots in South Africa through the purchase of a home. We’ve had a number of false alarms and disappointments over the years. God recently dropped a house in our laps! 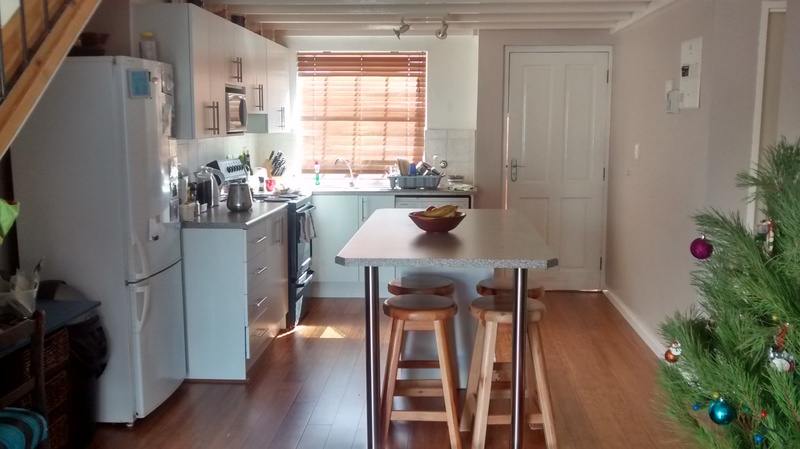 In a matter of 3 days, we found a house and bought it. Even better, it is only two doors down from our current rental. The boys will not need to adjust to a new neighborhood or make new friends. Thank you to those who stood with us in prayer all these years! After Mandela As you are aware, South Africa lost its “Tata” (father). The nation continues to mourn but also looks forward, recently holding elections. Pray that this nation would walk in the spirit of Mandela. Violence is still an issue. Just this week, 8 people were killed, blocks from our home, in gang and drug related violence.! Thailand Lindsey taught on Relationships in Thailand to students from all over Asia, even some from unreached people groups. A highlight was a discussion on “dating” as a Christian. Many students shared that in their culture they “date” by kidnapping the girls from their homes (also known as bridal kidnapping). This was an enlightening experience where the students asked the question, “What would a follower of Jesus do?” ! 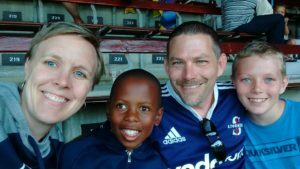 Permanent Residents We have been granted Permanent Residency status in South Africa (like a Green Card). This means no more Visas, we stay or leave on our own terms. We do not need to renounce our US citizenship. This gives us an extra layer of security and longevity. If you would like to receive a paper copy of our newsletter published about once a year, let us know.